With Nicole starting school soon I started thinking about all those First Day of School photos we could take. I really liked the idea of doing a chalk board photo, but my calligraphy is about what you’d expect of someone who spends most of her time typing. And is dyslexic. There are places where one can buy a faux sign (like etsy), but then I’d need to keep buying a new one every year, and if the seller I was buying from decided to close up shop I might be not be able to find someone who could duplicate their work. A slightly different font choice, layout or color would drive me absolutely batty. I need things to match, it’s a compulsion. Besides, I’m pretty handy with the graphics program. I should make my own! I started with this tutorial which included the chalk background. 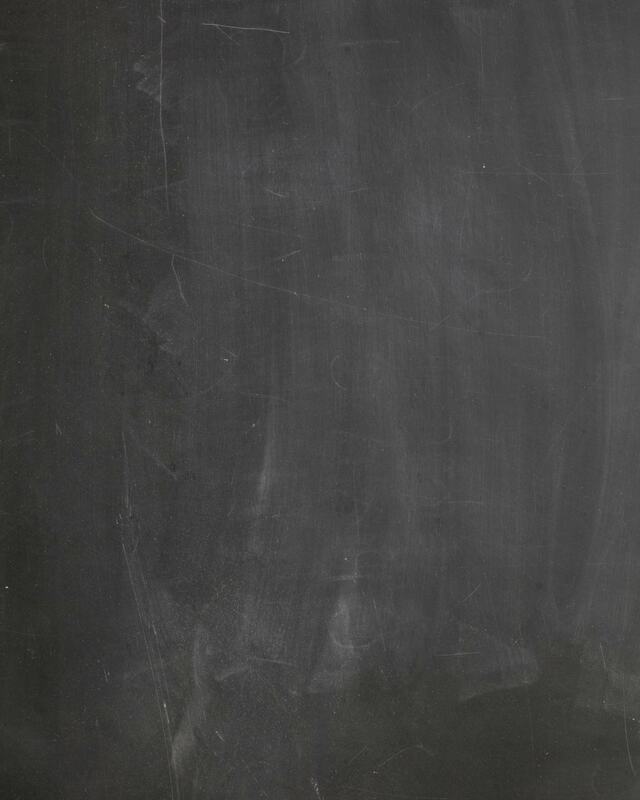 In my experience, a true white (#FFFFFF) color text was a little too white, and made it obvious the chalk board was fake. Another tutorial recommended #CCCCCC for the color of the text, but that ended up being too gray. A good compromise was #E3E3E3. Once I had the image designed I was on the hunt for a wide wood (or faux wood) picture frame where I could remove the glass. I settled on this one from target after holding up a few next to an actual chalk board to see how well the wood grain would good with the chalk board texture. I bought three since they were on sale, and I will one day have three kids in school simultaneously. I printed the image on heavy card stalk. The card stalk had a nice grain texture which helped with the realism of the chalk board. The heavier the cardstalk, the stiffer the paper and the less likely it is to bow without the glass to keep it pressed flat. Finally, I removed the stand from the back, and taped over the hooks so they wouldn’t catch on Nicole’s clothes when she held up the sign. I am very happy with how the sign turned out. Best of all, since I used my own graphics program it will be a snap to go in and change the grade level, or the career aspirations every year. I like it when I make things easy for my future self. When Nicole was born, I made refrigerator magnets out of her footprints. 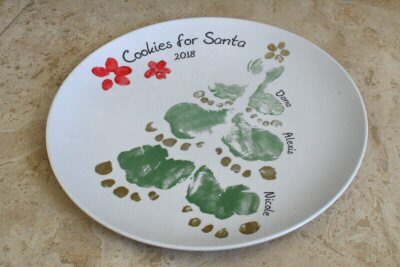 When Alexis was born, I took her handprints with the hopes of transferring them to a cookie plate for Santa. The end result was passable, but not great so I never posted a picture. I really don’t like the idea of having something with Nicole’s newborn prints and not something with Alexis’. It messes with my sense of balance. I thought about making another refrigerator magnet with Alexis’ hand print but wasn’t overly excited with the idea. Since the move our refrigerator has been bare, and I kind of like it that way. When this idea to incorporate both kids’ prints popped into my head I knew I just had to do it. It’s a image, created from scans of both prints, and then printed to scale on canvas. I just love, love, love how it turned out! The canvas does an excellent job of discussing the fact that those hand and footprints weren’t stamped directly onto it. Nicole’s newborn foot prints taken in July 2012, with the other letters (poorly) cloned out. Alexis’ newborn hand prints taken in December 2014. For this canvas print I used MPix. I’ve always thought of them as “pricier”, but with the 25% off sale they were having at the beginning of the month, they were only slightly more expensive then the competitors. Totally worth it as the quality appears to be better. The canvas itself appears to be of higher quality, and it has silicon feet on the back to prevent scuffing on the wall. I can’t be more definitive on the print quality, other then to say I have no complaints. There’s no skin ton in this print, and that’s where I was disappointed with Shutterfly, and then again with Cafepress in the past. The canvas print measures 14 x 11. I used Segoe Script for the L & e, and Katheleen font for the girls names. Now I just need to figure out where to hang it. I was rather impatient all day yesterday. I had been tracking my 3D printed ornament in the mail and was anxiously awaiting it’s arrival. When eight o’clock rolled around with still no mail I was climbing the walls. Stupid (much needed here in drought stricken California) rain storm delaying the mailman. The ornament arrived shortly after Nicole’s bed time. Who knew the United States Post Office worked so late? Overall I am pleased with how it turned out. The sandstone gives it a nice frosted appearance. But there are a couple of issues I was hoping to fix for next year. One of my issues with it is the color. The sandstone prints fairly light. Overall the ornament looks a bit monochromatic, what with the off-white house with snow covered roof on a light silver key. The brown door really stands out much more than I intended. I thought that might be the case and was already planning to scrap the snow on top and do a brown/slate colored roof to help even out the color differences. That’s an easy fix. The next issue is the date. The date didn’t appear engraved like it was supposed to, and half the five is missing! I believe this issue has to do with the way SketchUp handles 3D text. Even though the text was given a negative “extruded” height, the text component was still shown on the same surface as the key. “Exploding” the text separated each of the letter surfaces from the key surface and I was able to adjust the height accordingly. ShapeWay’s preview screen gives me hope that the new version will print correctly. The last issue is the only issue I’m not sure how to address. The wreath is filled in. I’m totally dumbfounded as to why. 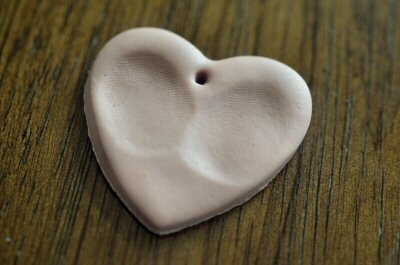 The interior diameter is 2mm, which should be well within ShapeWays capabilities. ShapeWays was able to print even smaller crevasses, like the region above the center window pane. This one is going to take some investigating, and possibly expert help. Edited to add: Problem solved, thanks to the helpful community at ShapeWays! I had seen the idea floating around pinterest, and thought about doing some as wall art a la project balancing act. I had it penciled in on my never ending to do list, with the intention of doing them eventually. When Alexis came home from school on Friday with a potted plant with her footprints that I suddenly felt like I needed them. Like right now. For mother’s day this year I decided I wanted to make butterfly footprints with the girls. Luckily for me we have a lot of finger paints around these parts. They were fairly easy to do. I had Alexis in the high chair so I’d have easy access to her feet. Nicole’s were a bit trickery because she’s in that I-do-it-myself phase, and after the first butterfly attempt she was ready to let loose her own creative juices. I promised her more time in the box when we were finished, and that bought me a few extra minutes. 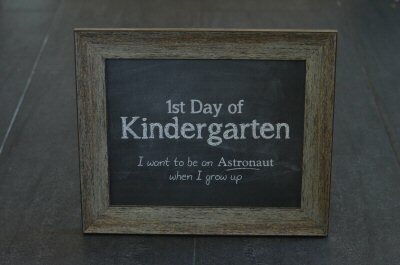 I will love this addition to our playroom. I am thinking about framing the photo of Nicole with her finger paints to go along side them. My only reservation is that it doesn’t exactly sit right with me to have a photo of one of the girls and not the other. (My sense of fairness apparently extends to my wall hangings.) At least in this case the finger paint is the subject and her face is obscured, I suspect in a few years it won’t be obviously Nicole. Done over again with less paint. I love the way they look on the wall! How many adults does it take to get hand prints of a newborn? Sorry Alexis, you were born into a crazy crafting, keep sake loving family! This is not a project for people who prefer not to get messy. My mom is holding Alexis. We found laying Alexis in my mom’s arm worked the best. It helped keep her calm and my mom could hold her hand out. My dad is holding the binky in her mouth. We’re using the binky primarily as a mouth guard. Just because the finger paint is non-toxic, doesn’t mean it’s good to ingest – especially for one so small! The binky blocks access to the mouth, so if we let go of her hand for a second there’s no way she can inadvertently eat any paint. My job was to actually get the hand print. As before, I found it easier to bring the paper to the baby, rather than try and maneuver the baby onto the paper. I used a small piece of cardboard to back the paper and keep it from flopping about. I started by trying to place Alexis’ hand in the finger paint. That was a huge mistake, and made for a huge mess! Newborns like their balled fists. Instead it worked better to get a little paint on my index finger, and rub it around on Alexis’ hand. I was also able to open her fist a little. After a few iterations I got the timing pretty down so I could quickly press the paper against her palm while her fist was still opened. Next order of business: Bath Time! I’ve been planning on doing this for a while, but only recently found Nicki’s hospital bracelet. Domingo and I have been in mad panic baby proofing/spring cleaning mode, and I needed somewhere to store the ribbon and bracelets so I wouldn’t lose them again. Living in California, I know it’s only a matter of time before the “next big” earthquakes hits and all my shadow boxes hit the floor. That’s why it’s really important to me that anything irreplaceable (i.e. hospital bracelets, ribbon) is removable and completely undamaged by the mounting process. I scanned the original ultrasound into the computer in order to enlarge it and increase the contrast. Since it’s a print, and not the original, I felt comfortable gluing it down. I used photo corners to mountain my three hospital bracelets. I was going to glue down the photos, but we were out of high quality photo paper. Since I’m the impatient sort that didn’t want to wait until morning, I used photo corners for the prints as well. I plan on replacing them with better quality prints at some point. Nicki’s hospital bracelet was the biggest challenge. The wrist band was still in tact as it had slid off her the first night home, but the paper identifier itself was in poor shape. (Someone managed to poop on it in the hospital. It was cleaned, but the paper is loosing structural integrity) I couldn’t use photo corners since there were no corners. I also couldn’t use pins since genius me seemed to pick out the only non pin-board backed shadowbox at the store. So – and I fully admit, I don’t like this solution – I used scotch tape. I made a little donut and attached it to the back of the plastic connector. It’ll come off, but it might leave a little residue on the plastic. I’m on the hunt for a better way to mount the bracelet. I also need a better way to mount the ribbon. I’m going to look for hooks that I can use to hold the bow up. I thought about detaching the bow from the ribbon itself, but I really like the fact that it’s the same ribbon went all the way around my belly. I was once that big! I have a spray sealant that I’m thinking of using to protect the tag on Nicki’s hospital bracelet. My plan is to try it out on a number of different paper sources first. The sealant label says it works with paper mâché, so I imagine it will work, but I would hate, hate, hate to be wrong. Wait. Why didn’t I think of that?! So even though it’s after Christmas, I simply had to make another ornament out of our birth announcement. I also had to stop taking down the tree so I could post a picture of the ornament on the tree. I used the same card stock I used for the wedding invitation ornament. It printed gorgeous on the metallic paper, and it matched the wedding invitation so nicely. I love it, but something is missing. It needs something to make it look finished. The wedding invitation ornament had one of the whine charm favors I made attached to the top, which did the trick nicely. Our wedding invitation ornament on the tree for comparison. Thinking back to our wedding, I remembered the bouquet charm I created and I got an idea. I can arrange crystals in the shape of an N for Nicole on a silver disc. I arranged our monogram in blue crystals for our “something blue”. The fabric flower was made out of a piece of my grandmother’s wedding dress (“something old”), and a piece of Spanish lace (“something new”), and the chain was my mother’s (“something borrowed”). I haven’t decided yet which color to use. Right now I’m leaning towards a soft pink (to match the invitation) and attaching a ruby bicone (her birth stone) to the charm. I also have to find the left over discs, or order more. Since I won’t be able to convince Domingo to leave our tree up for a month or so while I figure out what I want to do and order what I need, our birth announcement ornament will have to go unfinished for now. Ah well, I have 11 months to finish it.